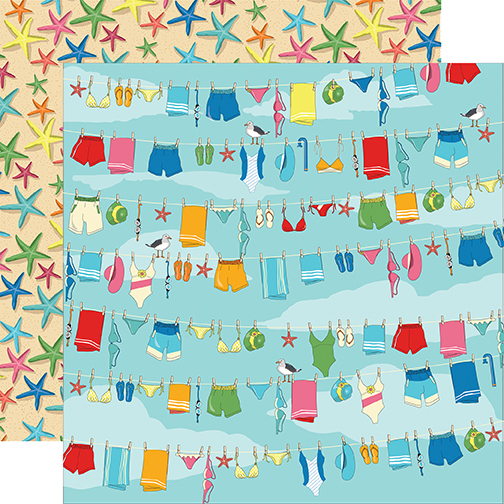 This 12x12 double sided paper has Swim Wear hanging on Clothes Lines on the frontside. The reverse side has colorful Starfish on a Sandy Background. Part of the Summer Splash Collection by Carta Bella Paper. Look for coordinating Chipboard Phrases, Chipboard Accents, 6"x6" Paper Pad and other selected Designer Papers.